Weed control is a year-round necessity here in the subtropics...the warm weather we enjoy makes our climate a happy place for plants AND weeds. 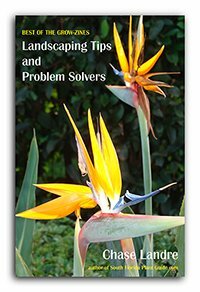 Weeds rob the soil of nutrients and destroy the clean, healthy look of beautiful landscaping. No matter how much we work at weed prevention, these persistent and invasive unwanted little plants never give up. Here are basic battle plans for keeping weeds at bay. Mulch - This is the most common form of weed control. Mulch blocks light that weeds need. Be careful not to "bury" plants and trees with too much of a good thing. Too deep and too close to a plant's base won't allow it to dry out between waterings and let air roots breathe. 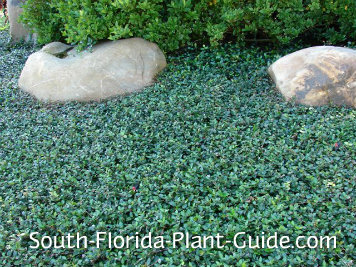 Groundcovers - Growing a thick layer of groundcover plants can choke out most weeds. You'll have to hand-pull weeds until the new groundcover plants fill in the garden area. Weed mat - This black landscape fabric lets air and water through, but not light. Buy from a nursery...box stores sell an inferior product that CAN let light through. To plant, dig the hole before laying the fabric. Once the mat is in place, cut an "X" over the pre-dug hole. Pull back the flaps and plant - see Planting Tips for planting instructions. If you already laid down the mat, cut an "X" where you want to plant, then dig the hole and plant. When finished, sweep every little bit of dirt off the weed mat before adding mulch. Most mulches break down over time and form soil where weeds can sprout. Remove all the mulch every few years and sweep the mat clean. Then add fresh new mulch to the area. Pre-emergent - It won't kill existing weeds but instead forms a seal to prevent weed seeds from germinating; some act to neutralize weed seeds. Apply when you're all done weeding a garden area (it can go right on top of mulch). Try a late winter application before "weed season" really gets underway. Using a pre-emergent can give varied results. Certain ones work better on specific types of weeds. Ask your local nursery for product recommendations. Pull by hand - You may want to use a digging tool to try to get all the roots. Herbicide spray - Roundup® is the most popular for killing weeds at the roots. Spray on the leaves and avoid getting any on your plants (though a little bit generally won't hurt). It will take a while for the weed to die, but it's more effective than hand-pulling where you may not get all the roots. Preparing a new planting bed? Try covering the empty garden bed with black plastic. Leave it on 4 to 8 weeks. It won't let any light or water through (weeds need both), plus the heat underneath will "cook" any stubborn weeds out. Then remove the plastic and add plants. Unfortunately, the days of paying a neighborhood kid a few bucks for some weeding and lawn mowing are long gone - but we do have other options. Hire a landscape company that offers a spraying service. Pest control companies will spray your lawn for weeds and bugs, as an add-on with in-home pest control. Ask your yard man if he'll do some hand-weeding. Or call a small, Mom & Pop landscape company...they'll usually charge a reasonable rate to weed your garden areas (as well as do other landscaping maintenance chores, if you like). Mowing correctly can actually provide a measure of weed control. 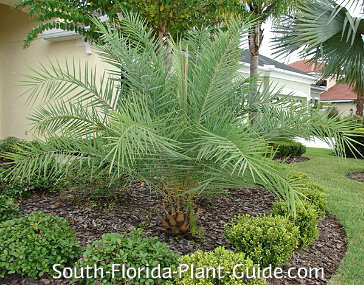 Mow the grass at a blade height that shades out low-growing weeds...at least 3" for St. Augustine and Bahia grasses. Mow often to keep weeds from going to seed. Keep your grass well-fertilized - weeds thrive (and grasses don't) in dry, infertile soil. Apply herbicides (post- and pre-emergent). Check with your plant nursery for the best ones to use. There are different herbicides for use in hot weather and in cooler months.